The following is a letter to new Massachusetts Senator Scott Brown from a disgruntled Tea Party activist that has been getting forwarded all over the Internet. I think that it sums up the feelings of a lot of those involved in the Tea Party movement regarding Scott Brown. It only took him a couple of days in office for him to betray the people who elected him. 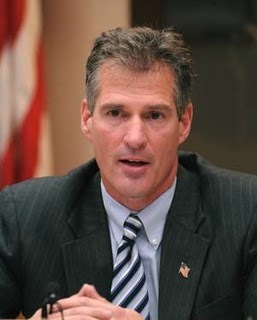 The truth is that Scott Brown is a RINO – a Republican in name only. He has already shown that he has far more in common with Barack Obama than with anyone in the Republican Party. 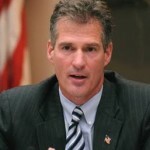 So now many Tea Party activists are furious and are going to be working to vote out Scott Brown in the next election. All of the enthusiasm and passion that benefited him this time could very well be his undoing next time around. Here is the letter from the disgruntled Tea Party activist…. You are a real piece of work, aren’t you? I am a member of the Tea Party Movement that went to bat for you. I donated money, that we just didn’t have, but, your words spoke of the true “change” we all wanted. I gave up countless hours in email to the good people of your state, in support of you. I worked your phone banks. You made promises that were nothing more than a lie, to get yourself elected. You are nothing more than a RINO!!!! You voted with the commies on a jobs bill that you knew was just a fraud upon the people. And, the last straw? When I saw you prancing around endorsing Juan McAmnesty. You, sir, are a fool. WE put you in office, and, hear me well, AH, WE will take you out just as easily. The TEA PARTY MOVEMENT grows in strength, resolve and determination. Enjoy your 2 years, Brown, because…..WE the PEOPLE are coming for you in NOV 2012!!!!!! The Tea Party Movement can make or break anyone….you are aware of this….you were recipient of our good, generous natures. YOU LIED TO US. You are the same as the rest of them, and, I think you are a sad, pathetic, small, little man. See ya at the polls, BROWN!!!! Also, during your 2 years in office? WE the PEOPLE will be on you at every word you speak, and, every action you choose to take. You are about to find out what being on the other side of the Tea PArty Movement is really like.